Loafers made of polished leather. Moc toe stitching and penny keeper strap across the vamp. Kiltie at the vamp covered in metallic studs. 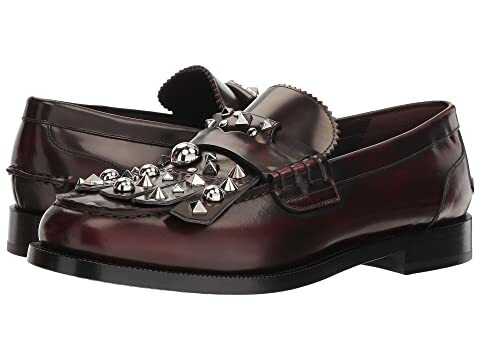 We can't currently find any similar items for the Studded Fringe Loafers by Burberry. Sorry!